Keeping with our March/St. 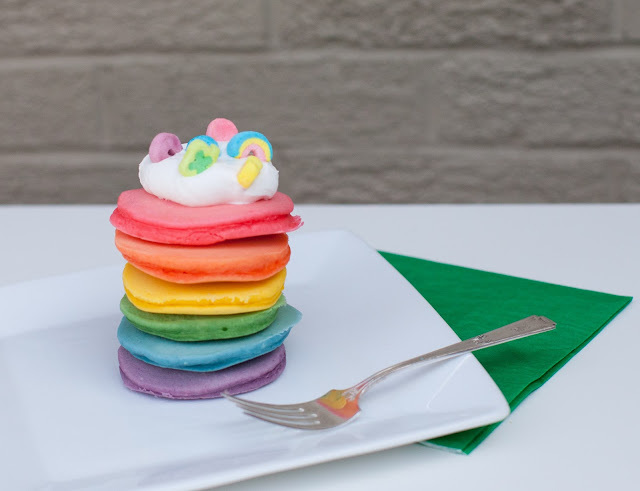 Patrick's Day theme of rainbows, I decided to whip up some rainbow pancakes this weekend. They might just be the cutest thing I've ever seen. 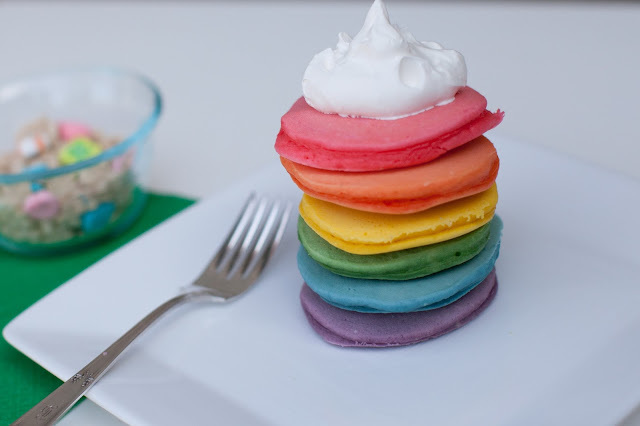 The secret to cooking colored pancakes is to keep the heat low. 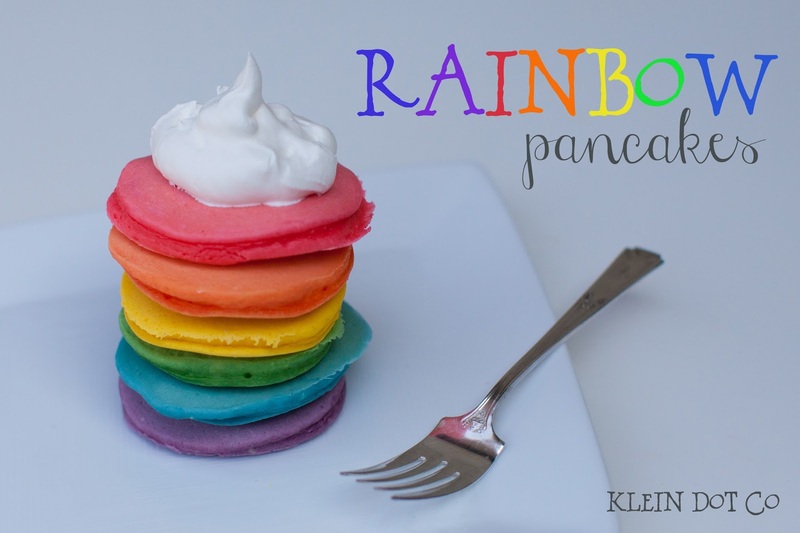 If it's too hot, you'll brown your pancakes and won't be able to see the awesome color. And that color is awesome, am I right? 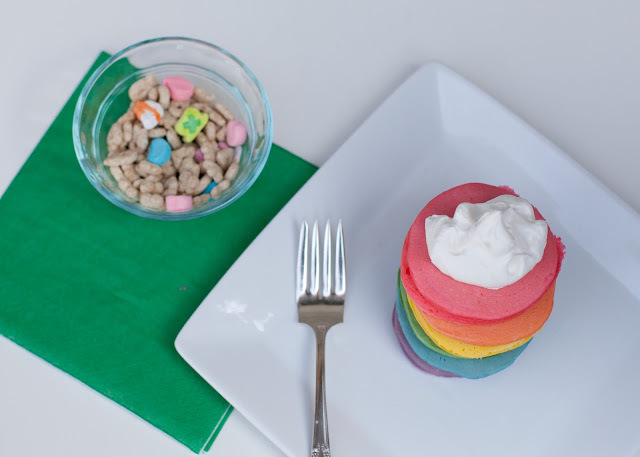 I'll be whipping up another batch come breakfast on March 17th - the perfect St. Patrick's Day breakfast! Mande, these are adorable. �� Who got to eat them? Super CUTE!! I made green Frankenstein pancakes for the kids last Halloween and pink heart pancakes this past Valentines day. 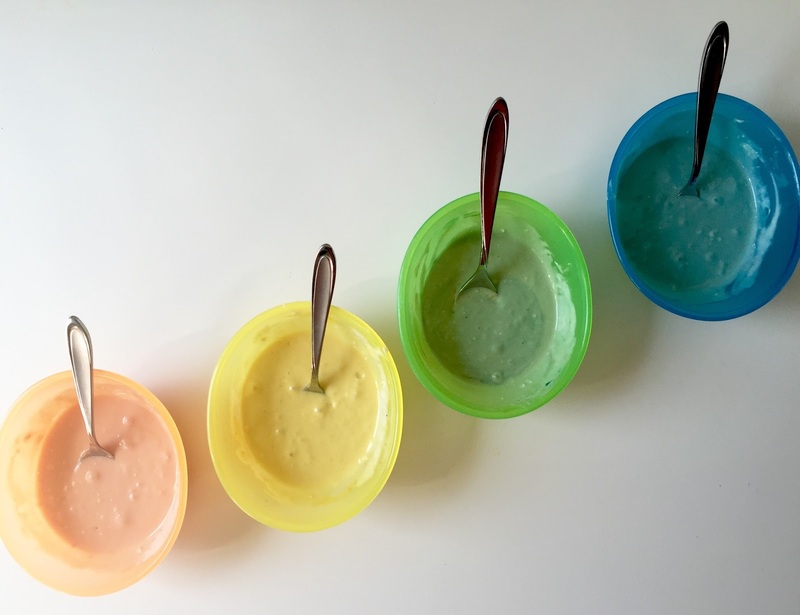 Adding color always makes a kid's meal more fun. The color is so bright and pretty! These almost look too pretty to eat. I will have to try these with Mason soon. Loving those pancakes. 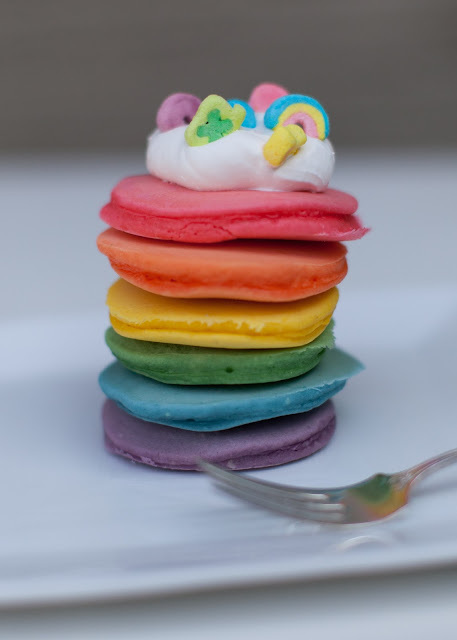 My girls would eat those up in a heartbeat!